Sharm El Sheikh International Airport is your doorway to the romance and mystique of pharaohs and sphinxes. It was opened in 1968 as an Israeli Air Force base but has since become the third-busiest civilian airport in Egypt and a major hub for both domestic and international departures. 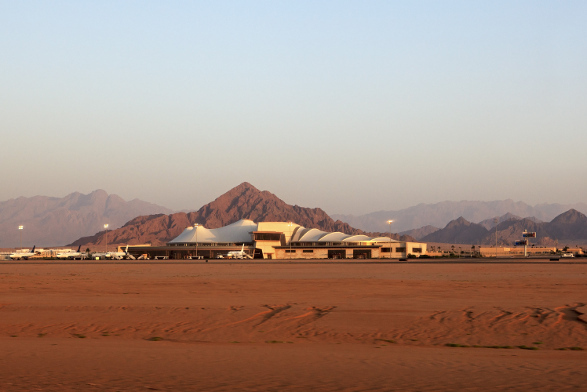 Sharm El Sheikh International Airport serves approximately 10 million passengers annually. Sharm El Sheikh International Airport (IATA code: SSH) is a major hub for domestic departures to other cities in Egypt and international departures to a number of countries around the world. Flights to Sharm El Sheikh International Airport are provided by international airlines such as EgyptAir, Turkish Airlines, and Saudia Arabian Airlines. SSH is a 10-minute drive from the city centre of Sharm El Sheikh. Sharm El Sheikh International Airport offers a gateway to the resort city of Sharm El Sheikh on the southern tip of the Sinai Peninsula in Egypt. The airport first opened in 1968 as a base for the Israeli Air Force but was reopened as a civilian airport in 1979 after the signing of the Egypt-Israel Peace Treaty. With two terminals serving both domestic and international departures and arrivals, Sharm El Sheikh International Airport is the third-busiest airport in Egypt. Terminal 1 serves international flights, while terminal 2 serves domestic flights. Flights to Sharm El Sheikh International Airport are mostly from other cities in Egypt and Europe. Whether you want to have lunch with friends and loved ones before embarking on your journey or need to do some last-minute duty-free shopping, the restaurants and shops at Sharm El Sheikh International Airport are varied and plentiful. Shops and restaurants range from fast food joints and restaurants to duty-free shops laden with everything from perfume to tobacco. Services include: banking and foreign exchange, baggage wrapping, and car hire. Sharm El Sheikh International Airport offers two lounges for passengers passing through the airport. A Pearl Lounge is located in terminal 1 and 2. Economy class travellers can access these lounges by purchasing a pass or through a membership program. The Pearl Lounge offers the following services and facilities: air conditioning, beverages (alcoholic and non-alcoholic), children’s play area, disabled access, mobile charging station, newspapers/magazines, smoking section, snacks, telephone, television, Wi-Fi. Sharm El Sheikh International Airport also offers several facilities, including disabled facilities and telephones. This laidback 3-star resort is a quick 10-minute drive from Sharm El Sheikh International Airport. The resort offers the following amenities: restaurant, two bars/lounges, 24-hour front desk, air conditioning, housekeeping, garden, safe, airport shuttle bus, business centre, two swimming pools. Complimentary Wi-Fi and parking is also available. These 3-star apartments offer self-catering accommodation approximately 15 minutes from Sharm El Sheikh International Airport. Amenities include: private beach, restaurant, bar/lounge, five swimming pools, beach loungers, garden, air conditioning, self-serve laundry, multi-lingual staff. Free parking is also available. This 5-star sea facing hotel is located approximately 15 minutes from Sharm El Sheikh International Airport. Some of the amenities include a private beach, three restaurants, two poolside bars, full-service spa, four swimming pools, nightclub, a rooftop terrace, children’s club, airport shuttle bus, and a fitness centre. Complimentary breakfast and parking is also available. Currency exchange offices are located inside Terminal 1 at Sharm El Sheikh International Airport. Sharm El Sheikh International Airport offers protected parking for short or long-term stays. Sharm El Sheikh International Airport is located on the southern tip of the Sinai Peninsula, approximately 18 km from the city centre of Sharm El Sheikh. Several transport options are available at the airport which will get you to your destination within the city, including 24-hour metered taxis and minibuses.